This backyard bbq was an impromptu get together last Saturday night. As I was looking over pictures and still savoring over the meal, it hit me – this would be the perfect Fourth of July meal. Just a few, simply prepared dishes, full of bright summer flavors. 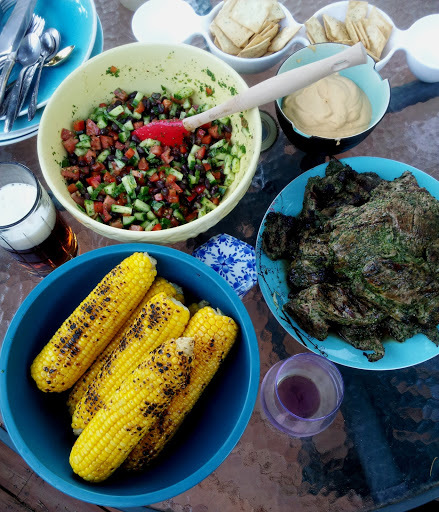 Fire up your grill, chop the salad, buzz the hummus, marinade the meat and open up the beer! Fourth of July is going to be delicious. 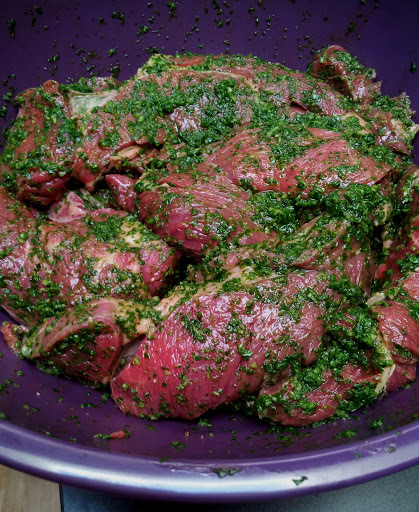 For the meat, blend together 6 cups of loosely packed parsley and cilantro, 4-6 cloves of garlic, 1/4 cup olive oil, 1/4 cup vegetable oil, juice of 1 lemon, splash of champagne vinegar, salt and pepper to taste. Add the meat to the sauce (you can use flank steak or fajita meat) and marinade. Few hours are great, but you can marinade this in the refrigerator over night as well. 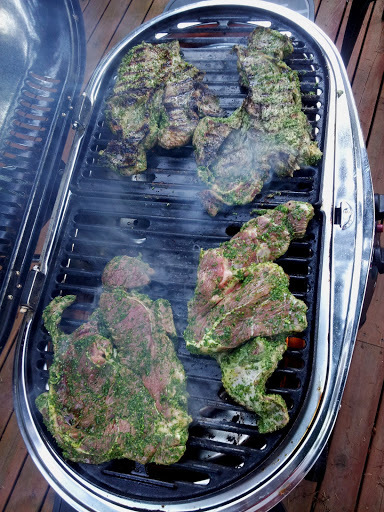 Grill the meat on a grill set to medium-high. 3-4 minutes on each side is all you need. You want the meat to be charred on the outside and medium rare on the inside. Let the meat sit before slicing. For the corn, husk the corn and boil in salted water until it is tender. 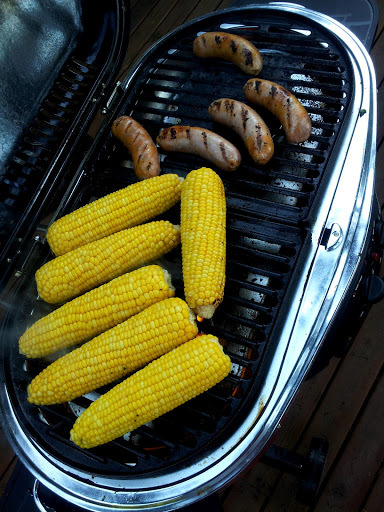 Grill on a grill set to medium heat, rotating every minute or so, until the corn is charred. You can serve the corn with compound butter or brush it with oil, but the sweetness of the corn was fantastic on its own, so we didn’t add anything extra. For the salad, mix together 1 diced cucumber, 1 diced red bell pepper, 1 diced tomato, 1 can of drained and rinsed black beans, 1 bunch of chopped basil, olive oil, salt and pepper to taste. Cut up a huge watermelon, wash strawberries, and perhaps get a gallon of ice cream from the freezer. No need to bake the dessert! 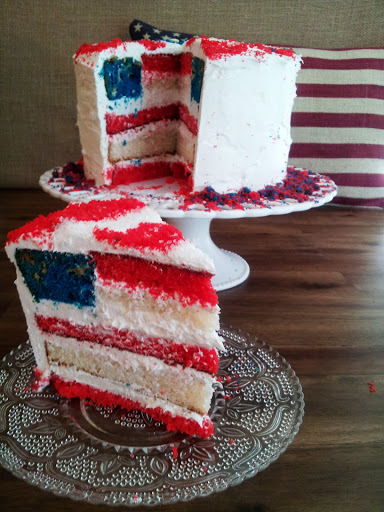 Unless of course, you want to prepare this fantastic American Flag Cake!